Prime is SO much more than 2-day shipping or video streaming. Come explore these hidden Amazon Prime perks so you can maximize your membership to it's true potential! Here's why—the streaming was lame, the Kindle library never offered the right books, and I could already get free shipping at a minimum purchase of $25. It didn't take all that long for the package to arrive either. Four days maybe? I didn't need anything that bad that I couldn't wait a couple more days! But over the past few years, Amazon Prime has significantly expanded to include more perks than ever before. And somewhere along the way, my attitude changed with it. I guess you could say I'm a HUGE Amazon Prime convert now! Partly because my own shopping habits have changed—I've switched to mostly online—but also because there are literally dozens of extra benefits included in your yearly membership, beyond the typical video streaming and 2-day shipping. 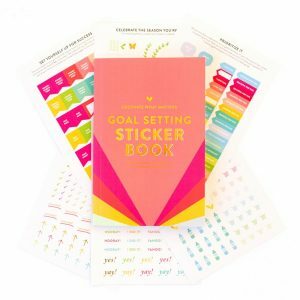 Some of these perks you might not even know about, but they're about to make your life a whole lot easier! With a flat delivery fee of $5.99, you can get a “pantry box” shipped to your door full of ALL the household goods you need for the week or month. But get this—you can order normal-sized items and fit up to 45 pounds in one box! Prices are very comparable to what I've found in the store, plus you can add manufacturers coupons with a single click. There are plenty of organic and natural food brands included too. Psst…right now Prime Pantry has special where, if you buy 5 items, shipping is free! Prime Reading is the newest perk of Prime, and at first, I was a little confused at how it differed from the Kindle Owner's Lending Library. Prime Reading provides access to over a thousand books and magazines for it's members on any device, using the FREE Kindle Reading App. The Kindle Owner's Lending Library only allows Prime members to borrow one book a month, but you have access to hundreds of thousands more titles with Prime Reading. You must have a Kindle to use this feature. Both services are different than Kindle Unlimited, which gives you unlimited reading and listening for an extra $9.99 a month. Either way, you have access to a lot more books than before! FYI: These are my favorite sites to find thousands of FREE paperback and digital freebies. Wish you could read more often? Audiobooks are the perfect way to multi-task on busy days! Prime gives you access to Audible Channels (normally $60/year), so you can do this for FREE. You have access to a rotating list of fifty audiobooks, educational programming, podcasts, and original audio series. All you have to do is download the app and login with your Amazon information. This restaurant delivery perk is more for people who live in big cities (Atlanta, Austin, Chicago, Miami, etc), but I'm hoping they expand the network out to more towns! Basically, you order a meal through one of the many restaurants listed, and you can get delivery to your house or business for FREE. This isn't just Chinese take-out from that hole-in-the-wall place either. There are some really good restaurants on the list! Also, now that Whole Foods has partnered with Amazon, you can get your favorite Whole Foods product delivered right to your door, too! Speaking of delivery, with Amazon Key, you can manage access to your home—and big cities now offer the option of secure package delivery inside your home or vehicle. Not sure how I feel about that one, but let me know in a comment below your thoughts! By this point, we all have a different understanding of the word “cloud” then we did 5 years ago. It's the internet-only storage space that holds what you find valuable—your pictures, videos, and music. But, did you know you have FREE access to Amazon's cloud through your Prime membership? It's called Amazon Drive, and with the help of a handy app, you can upload pictures from your phone straight to the cloud. I'm always nervous that my external hardrive (which holds all my photos), will die on me someday. Having a backup in the cloud keeps all my precious memories safe! Now, this one is really interesting. You buy a “dash” button that connects to a specific Amazon product—ex. toilet paper—via WiFi. Then all you have to do is place that button in your bathroom cabinet (or wherever is convenient for you), press it whenever you're running low, and that item will automatically ship straight to your door. Except I probably know what you're thinking….what happens if you have a toddler that presses it just for fun? Amazon Dash comes with order protection so only the first press counts, but just between you and me—I'm not sure how often I'll use this one! Heads up: Don't have the Dash button? No problem. Easily reorder things simply by telling Alexa. You've probably seen those awesome sales Amazon has, called “lightning deals”, right? While with your membership, you can get access to those deals 30 minutes earlier than those who don't! Totally worth keeping an eye out, just in case you see something you were going to buy anyway. They also give exclusive access to deals on Black Friday and Prime Day too. See today's deals HERE. Another perk (not just for Prime members) is the ability to create a baby registry. Think of how easy this makes gift giving since most everyone already has an Amazon account! If you (or your kiddos) like to play games online, this one is for you. With your Prime membership, you get free access to Twitch.tv, a streaming service that allows gamers to create channels and stream their gaming! You also get 20% off new-release box games. 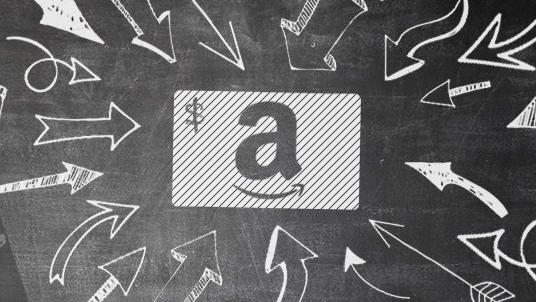 If you shop at Amazon often, why not earn 5% back on all your purchases? Prime members get access to an exclusive store card with no annual fee, and it includes every category, not just ones that rotate during the year. Not to mention that, for a limited time, anyone who signs up for a Prime card will also receive a $60 Amazon gift card in their account after approval. Sweet! FYI: Here's how to earn extra money with your credit cards, without going into debt. Don't forget to use your Amazon Prime card at Whole Foods for an extra 5% back! If you're frustrated with annoying Pandora ads, you're going to love Prime Music. It has unlimited streaming to over a million songs, and no ads! You can also create curated playlists and personalized stations of your favorite genres, which makes it perfect for listening while you work. I'm just getting into the Prime Wardrobe feature and loving it. I never have to brave that bad dressing room lighting ever again! Here's how Prime Wardrobe works: You choose a few items of clothing (accessories, too!) to try on at home during the seven-day try-on period. You can then purchase what you want to keep and send back (for free!) what you no longer want using the resealable box and prepaid label. Seriously, does that sound too good to be true? Give it a try if you don't believe me! And last, but certainly not least, is my favorite perk of all—membership sharing. 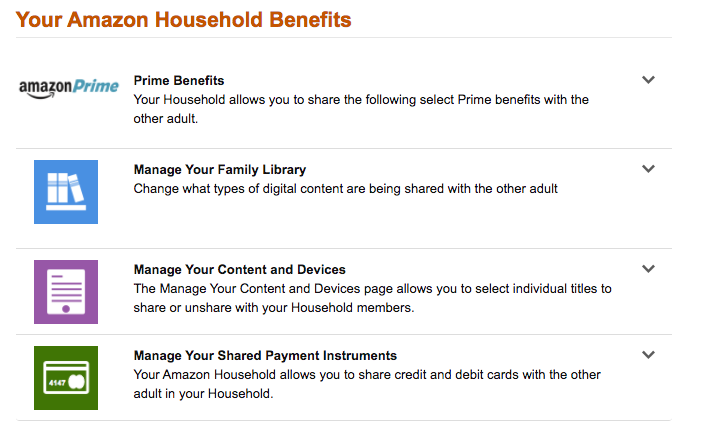 You can create what's called an “Amazon Household” and share Prime benefits with each other! That means you can split the annual fee, making all of the benefits we just talked about worth even more. I currently share Amazon Prime with my mom, not only to save money, but so we can share books too. Since we both have access to each other's Kindle libraries, we can borrow books without having to buy them somewhere else. I love it! With all of these awesome perks, you really can't go wrong with Amazon Prime. What can I say—I've finally seen the light! If you haven't jumped on the Prime bandwagon just yet, you can try it FREE for 30 days. I would explore everything Amazon Prime has to offer, then at the end of the month if you don't feel it's worth the cost, you can cancel without any risk. We are big Amazon Prime users in my household. We use many of these features, and I must say I’m so glad Prime reading has become a thing! I just borrowed a book from Prime last night!! I was so excited when I found out they had the millionaire next door! It’s been on my reading list for months. I had been under the impression that sharing benefits could only be done with people in the same house. Has that changed? 1. If you are part of an “Amazon Household” you have access to each others credit card information to make purchases. This means you would never want to share your service with someone who is just a casual friend. 2. One of the benefits that they promote when talking about the household is the shipping benefits. If my husband were to create an account and we were to share Prime… there is no added benefit there since we live at the same address. Notice, the wording is “One other adult” with no reference of actually being related. They could have said, “One other adult living at the same residence.” They did not. Also, the term “Amazon Household” is branded, meaning that it can mean whatever Amazon wants it to. However, if they want to define it as, “members of the same family, living under the same roof” they need to make that distinction in their legal documents, which they have not. Okay. Thanks. My best friend and I have been considering Prime but neither one of us can afford a full membership. Okay, I might have to look into that credit card because I love Amazon Prime. I share an account with my brother, several states away. I love that perk because it makes Prime more affordable! I totally agree! At first I thought it was a total waste. I see what their plan was now! I’m a total convert! I love the Prime Pantry the most right now! Thanks for the info on the button items. I’m going to check this out! That’s great! The button is something that I have yet to try out as well. I love Prime, especially the free 2-day shipping… although where we are in Wyoming, it’s often more like 3-4 days… but it still fast & guaranteed! I didn’t realize they had teamed up with Audible though. I’ll have check that out! Thanks for sharing this list! I really need to sign up for Amazon Prime for the upcoming Xmas season. I am probably one of the last people on earth that use Amazon that hasn’t signed up yet! This is a really cool list of extra perks that come along with the $100 membership. I don’t think you’re the last one. I’m sure there are a few others out there! I love Amazon Prime I wasn’t aware of the Audible subscription for Free it used to be 9.99 per month. FYI Amazon does do a promotion for a discounted membership for 69.99, I think they run it after the Christmas holiday rush, also if you have a college student in your home you get a six month trail and then it’s 49.99 per month so for those that can’t pay 100.00 that’s a cheaper way to have the membership. I don’t want to mistakenly be misleading! So let me clarify the Audible portion really quickly. You can still get an Audible subscription separately, but Amazon offers “Audible Channels” as part of Prime. This is a specific selection of books that changes from time to time. There are lots of choices, but you won’t have access to the full Audible library with just your Prime subscription. Hi Kalyn! I’ve been a prime member for awhile yet I never took the time to see all that was available to me. Of particular interest in your article is “Restaurant Delivery”. I live in Los Angeles but I don’t see where any restaurants are listed when I log in and go to “Prime Now”. All that comes up is for shopping, either through amazon or our local Sprouts store. Am I looking in the right place? Any additional info would be greatly appreciated. Thank you! I don’t have any experience with that section of Prime yet. 🙁 We live in a smaller city that I know doesn’t have that option. I would think LA would have it available though! Click Here to see a page that let’s you check your zip code for available restaurants in your area that use Prime. Twitch is already free. Prime makes it so you can give someone 5 bucks a month and have amazon pay for it instead of it coming out of your pocket. I wouldn’t expect you to understand how Twitch subs work. You’re right. Twitch has a free service but, as I’m sure you know, you have to pay if you want to remove ads. If you have prime, you get Twitch ad free. Also, my husband supports one of his favorite streamers with that $5 a month, and it’s really nice to be able to do that with our existing prime subscription rather than budgeting that extra $5. He was unaware of this perk until I wrote this post, as I’m sure many others are as well.